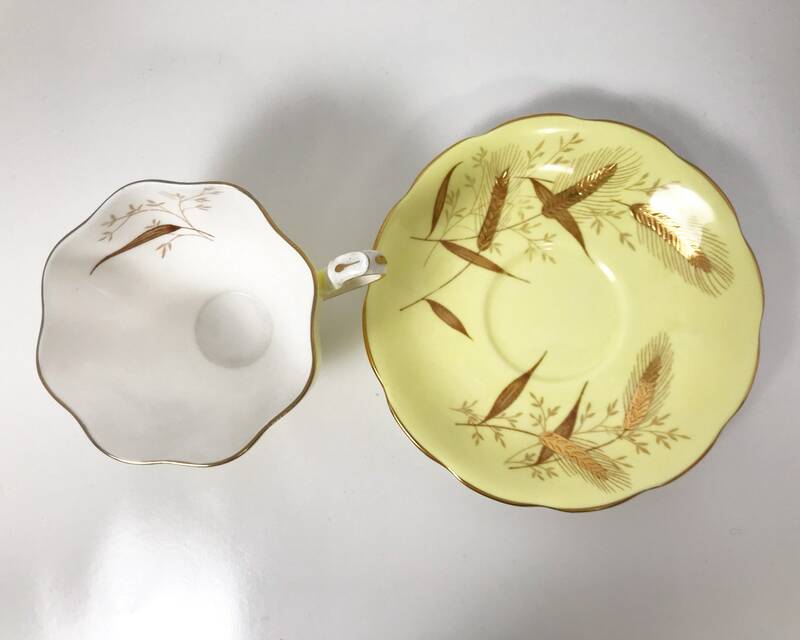 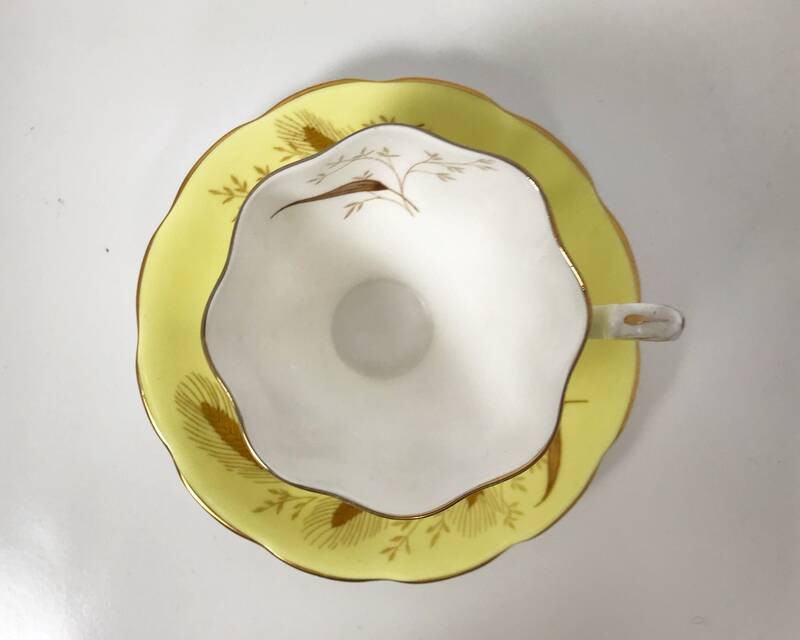 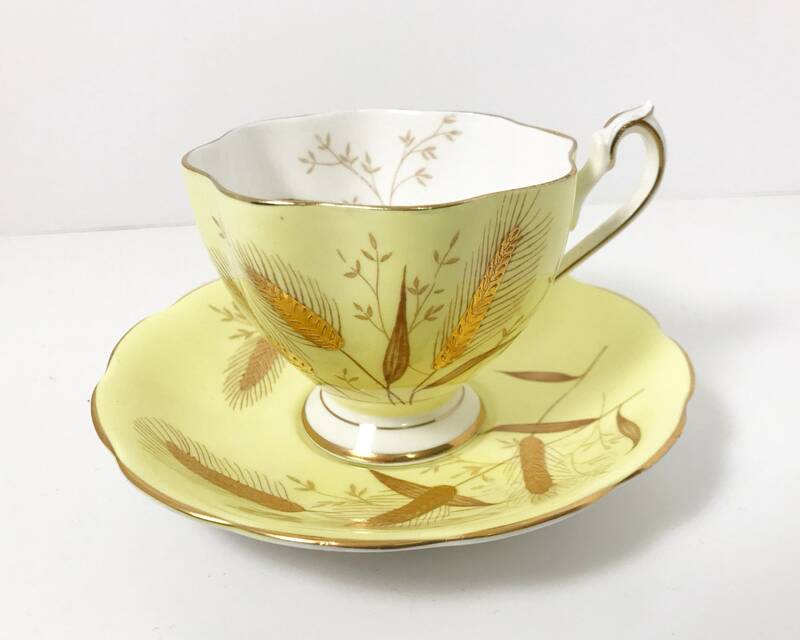 Striking Queen Anne Fine Bone China Tea Cup and Saucer with a bright light yellow glaze and gold gilt decoration of textured wheat sheaves - mid century elegance. 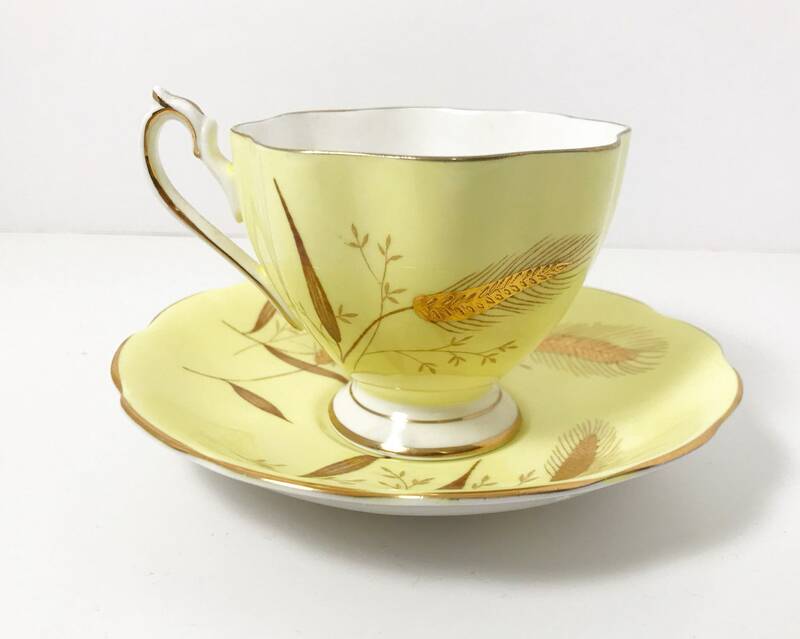 The Queen Anne mark was introduced by the Shore and Coggins Ltd pottery of Stoke on Trent after WWII. 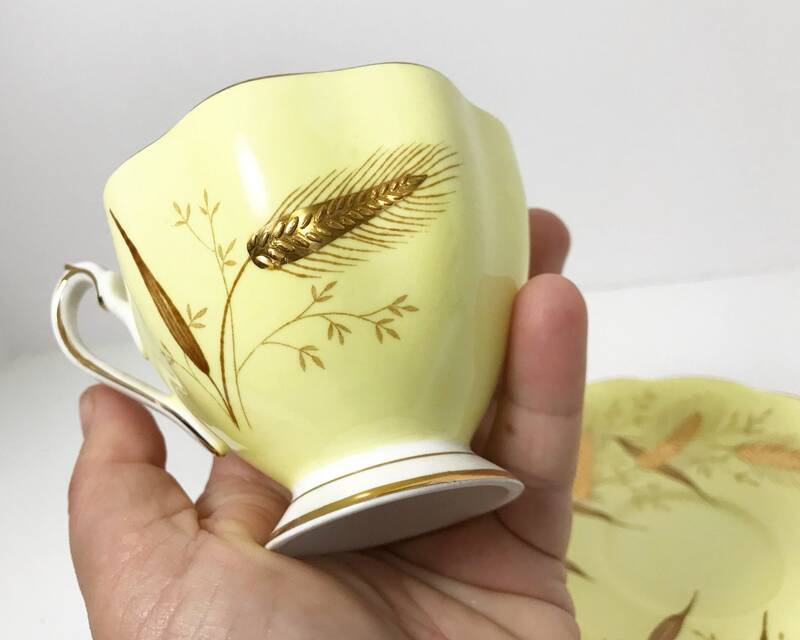 They ceased operations in 1966. 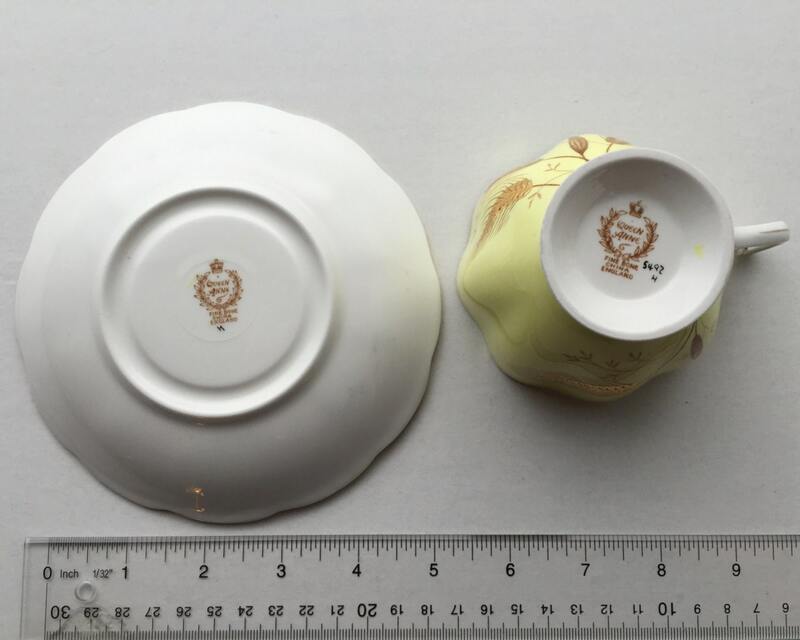 CONDITION: Excellent with no nicks, chips, or cracks. 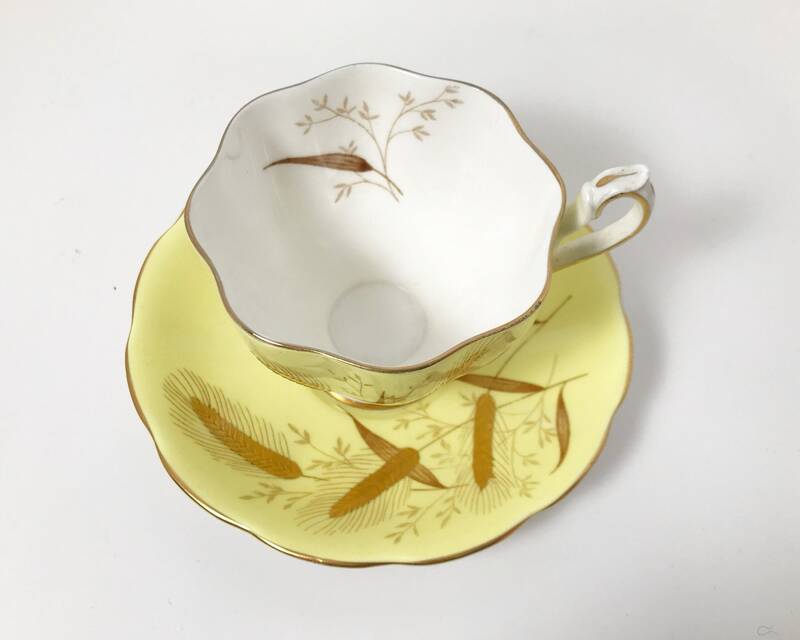 SIZE: Cup is 2 3/4 inches tall, and the saucer is 5 5/8 inches wide.